Posture can make a huge difference in our lives. Did you know you can develop many pathologies (conditions and processes of a disease) just because of poor posture? Let’s take slumped shoulders for example. This condition is common among those with sedentary lifestyles and is associated with poor posture. Slumped shoulders frequently coexist with an upper thoracic kyphosis (kyphosis, which can refer to normal or abnormal curvature of the spine) and forward head posture. This pathology generally results from chronic postural distortions, and it affects individuals who work with their arms directly in front of them for a prolonged period of time. Office desk jobs, sitting in front of the computer, and even being on your phone for long periods can result in slumped shoulders. So, let’s talk about muscle hypertonicity (hypertonia meaning, being in a state of abnormally high tension or spasticity) and weakness. With slumped shoulders, postural balance in the shoulders is dependent on equalized tension between the anterior and posterior shoulder girdle muscles. When the internal rotators of the shoulder –pectoralis major, subscapularis, lattisimus dorsi, and teres major– are hypertonic, they cause the rolled shoulders in the slumped position. Along with shortening the internal rotators of the shoulder, there is typically muscular weakness in the upper back –middle trapezius, rhomboid major, and rhomboid minor. Sounds bad, doesn’t it? So, let’s fix it! There are many alternatives to releasing the tension in your internal rotators and helping to bring back a normal posture. One way that I personally recommend (as a Licensed Therapist), is to go get a massage! It is difficult, if not impossible, to make lasting postural changes with soft tissue manipulation work alone. Postural retraining and neuromuscular re-education are necessary to improve it. One thing I, personally, like to do, especially in situations of being on the computer for a long time is this: Have something brightly-colored and odd on your desk by your monitor. Pay no mind to it, and continue your work. Every time you make eye contact with that oddly strange colored object, fix your posture (sit up straight, stretch, etc.). This has, personally, helped me to improve my posture, and it requires little or no effort to do! If not massage, then self-fascial release techniques with a foam roller, tennis ball, or lacrosse ball will really help! Targeting the Internal Rotators will help release some of the hypertonicity. But no matter what option you choose; one of the most important things you have to do is STRETCH. So, don’t forget it! Vince grew up very focused on his education, but not knowing what he wanted to do as a career choice. He did know that he wanted to choose a career setting that affiliated all the things he loves: Science, Sports and his passion to help others. Vince attended the Connecticut Center for Massage Therapy, focusing on Manual Sports Therapy for athletes and bodybuilders. After 750 hours of education and clinicals, he received his diploma, and earned his practitioner license through the state of Connecticut. Vince worked alongside a Personal Trainer, treating various types of athletes including—but not limited to—hockey players, tennis players, weightlifters, bodybuilders and physique competitors. 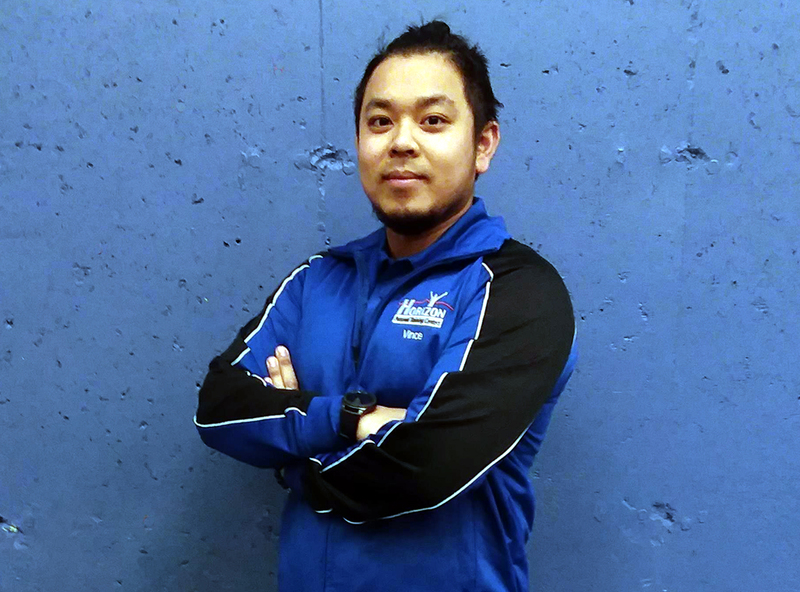 With his experience and love for Anatomy and Physiology, Kinesiology and client education, Vince was then inspired to take his career to another level by becoming a Personal Trainer. No Comments to "Posture and Slumped Shoulders"
Aerobic vs. Anaerobic Exercise: What’s the Difference?